Today the Bunbury SES Unit honoured the 40-year service anniversary of three of its members, Nick Elrick ESM, Chris Widmer ESM (Local Manager) and Malcolm Piggot. All three joined the unit in April 1978, the month that the infamous Cyclone Alby bore down on the south west. Between the three of them, their experience spans multiple SES units, leadership roles in both the SES and Department of Fire and Emergency Services, incident control and training and assessment. 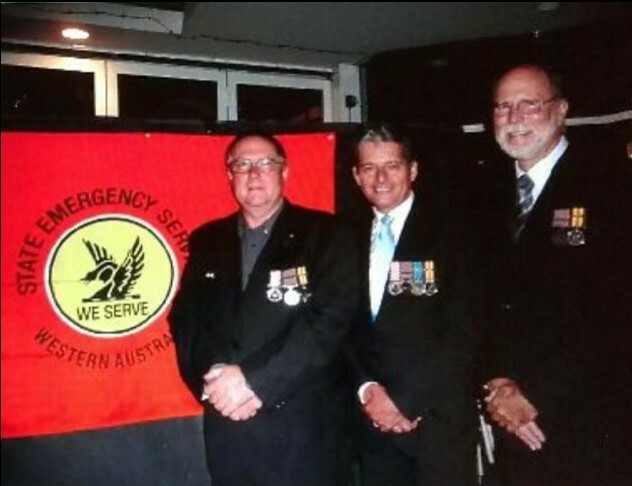 The three gentlemen are each life members of the Bunbury SES Unit and both Chris and Nick have been awarded the prestigious Emergency Services Medal for their services. The State Emergency Service is very lucky to have members of this calibre amongst them.